In order to start an Oklahoma used car dealership, the state of Oklahoma requires you to get an Oklahoma Motor Vehicle Dealer License. Read the Oklahoma Used Motor Vehicle and Parts Commission's Rules and Regulations for opening your own car dealership. There is also a note in the Oklahoma Dealer License Application about how to apply if you have a felony on your record. Fill out an Oklahoma Used Motor Vehicle Salesperson Application for every person that will be selling cars at your dealership. The application fee per application is $5. Include a copy of your Oklahoma driver's license. You must purchase an Oklahoma Used Motor Vehicle Dealer Bond before you can be issued an Oklahoma Motor Vehicle Dealer License. A surety bond protects your customers from fraud or misrepresentation during a business transaction. This is NOT insurance. This is a surety bond and is a requirement for you to get licensed. 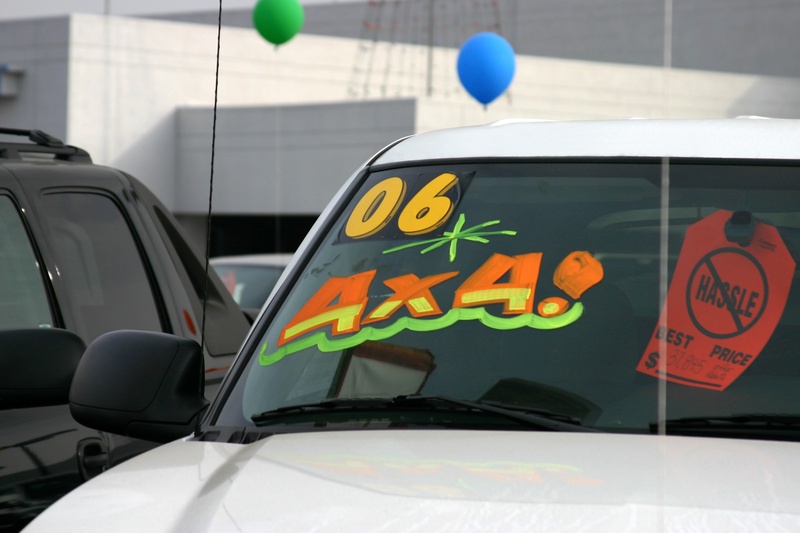 In Oklahoma, the requirement for a used car dealership bond is $25,000. Last requirements can be found on the Oklahoma Dealer License Application packet. Note that you are required to attend an education program. Attendance is mandatory for at least one owner of the dealership. Complete any other potential forms you may need to get your Oklahoma used car dealership approved by the state. Any related forms can be found at the Oklahoma Used Motor Vehicle and Part Commission website. There is a $600 fee to apply for an Oklahoma Used Car Dealer License. The fee is non-refundable, UNLESS the Commission denies your application. In that instance, you would receive your money back. Oklahoma Dealer License Applications are presented to the Commission Board for consideration the second Tuesday of each month. Applicants that are incomplete will be returned and will only delay the application process. Oklahoma Used Dealer Licenses expire December 31st of odd numbered years. For example: 2017, 2019, 2021, etc. You will need to renew your license before this date to remain in compliance with the law.